Connected or semi-connected sheet piles are often used to build continuous walls for waterfront structures that range from small waterfront pleasure boat launching facilities to large dock facilities. In contrast to the construction of other types of retaining wall, the building of sheet-pile walls does not usually require dewatering of the site. 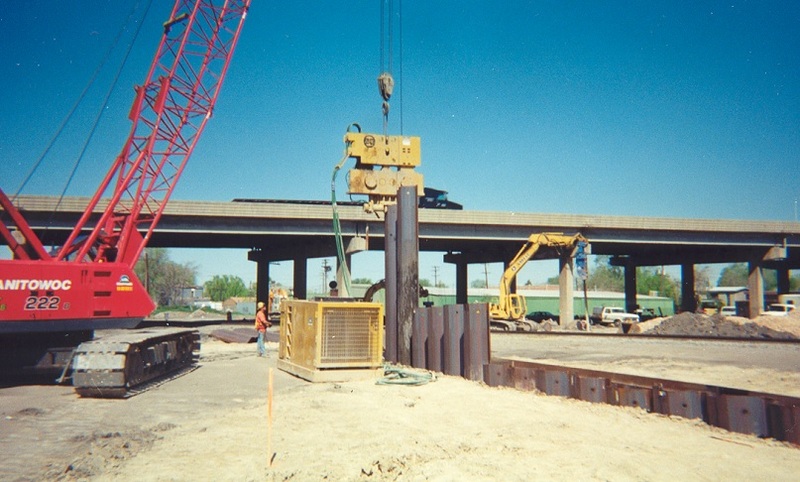 Sheet piles are also used for some temporary structures, such as braced cuts. Several types of sheet pile are commonly used in construction: (a) wooden sheet piles, (b) precast concrete sheet piles, and (c) steel sheet piles. Aluminum sheet piles are also marketed. Sheet-pile walls may be divided into two basic categories: (a) cantilever and (b) anchored. 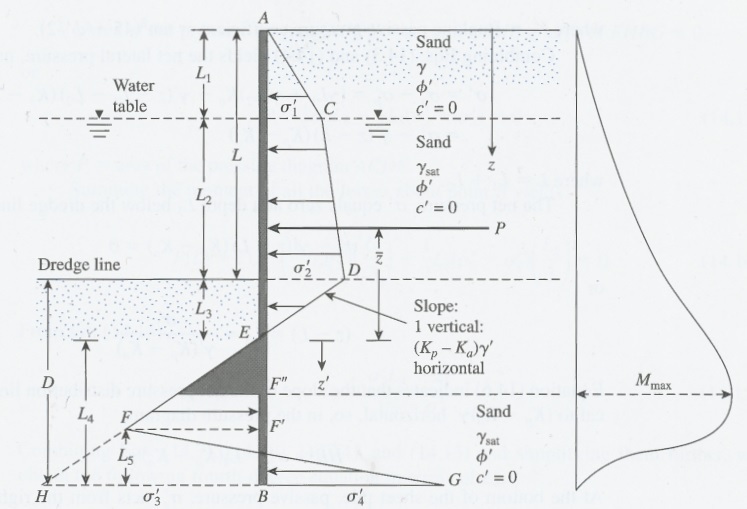 The objective in analysis of sheet pile walls is to get to a depth of embedment (D) sufficient for the wall stability. For this purpose, one needs to know the lateral earth pressure theory first. 4. Calculate P equal to the area of ACDE. 5. Calculate the distance of P from point "E" (called z-bar on figure), by taking the moment about point "E" (P has to induce equal moment to the pressure of ACDE area). Follow our official Facebook page (@civilengineeringbible) and Twitter page (@CivilEngBible) and do not miss the best civil engineering tools and articles!